Interested in a career in hairdressing, cosmetology, or nail technology, but unsure what’s involved? The experienced educators at Brittany Beauty School in Levittown, Long Island, will provide all the training you need to work towards graduation and earning your cosmetology license! Below, they’ve outlined a basic overview of their programs, including what requirements and training are needed to graduate. Depending on the program you choose, you can learn about a variety of appearance enhancement topics. Courses are available in: Hairdressing and Cosmetology, Esthetics, Nail Technology, Waxing Technology, and Makeup Techniques. Since 1968, the trusted professionals at Brittany Beauty School have provided training for cosmetology, nail art, hairdressing, and more. An important part of the curriculum involves applying your new skills to real-world clients at the school’s salon. Even before you get your license, you’ll be able to see for yourself what it’s like to work with clients one-on-one in a supportive and professional setting. Once the requirements are met, a student receives a temporary license from the Division of Licensing Services, New York State Department of State. When you pass the written and practical State Board examinations, you’ll receive a permanent license. Graduating from the Brittany Beauty School will open up many career opportunities. You can use your degree and experience to become a cosmetology specialist, hair colorist, hairstylist, makeup artist, nail technician, esthetician, waxing technician, salon owner, and more. 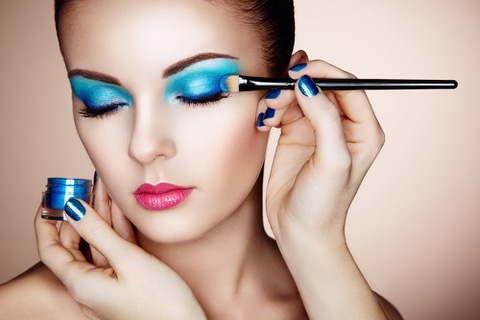 To learn more about earning your certification and attending beauty school on Long Island, call (516) 731-8300 today! You can also visit the Brittany Beauty School website and Facebook page to learn more about starting your new career. The Brittany Beauty School is licensed by the NY State Education Department and accredited by The National Accreditation Commission of Career Arts and Sciences (NACCAS).